Volunteer for the upcoming Earth Day on Saturday, April 21. Click on the pdf to see the flyer. 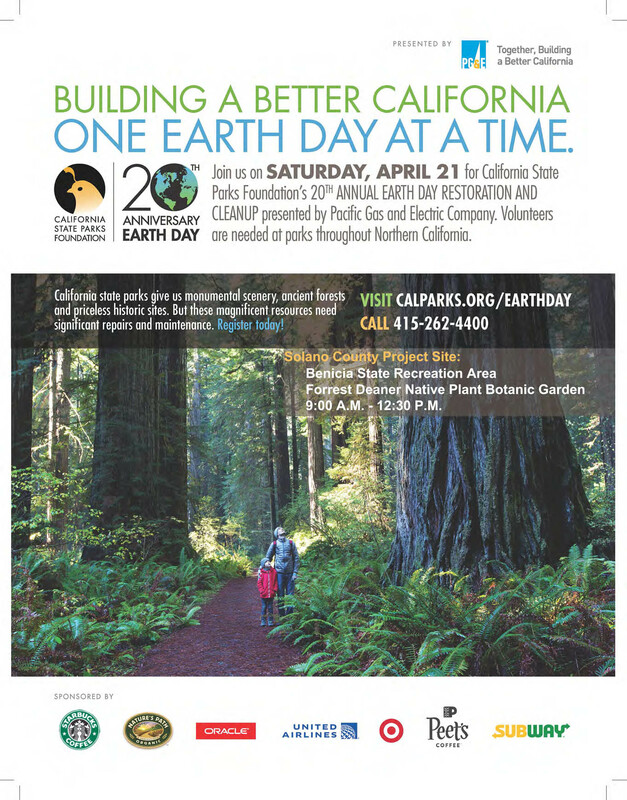 Visit Calparks.org/earthday to register. There will be free coffee and a free lunch for the volunteers! The Project Site is: Benicia State Recreation Area Forrest Deaner Native Plant Botanic Garden 9:00 A.M. - 12:30 P.M.